Do you love the snow and cold? If so, then maybe Minneapolis in the winter sounds like an awesome plan. Sure, it’s not Vail or Whistler, but that just means it’s cheaper and less crowded, especially in the winter. Hotels are more affordable, which you’ll find with a search on Hipmunk. So, if your winter plans include Minneapolis, pack your warmest clothes. Here are just a few things you’ll want to put on your list when putting your trip together. Spring and summer aren’t the only seasons for kite flying. In fact, Minnesota thinks winter is the perfect time to take out your lightweight friend and show it off for all to see. If you don’t have one, you can just watch others or buy one at the lake when you arrive. 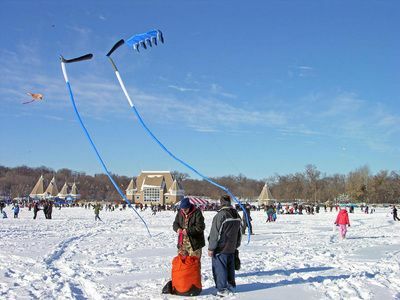 Kite experts are on-hand for advice as wanted. And also, there’s ice fishing for kids, so don’t fall in a hole. When bodies of water ice over enough for you to play on it, it’s pretty incredible. 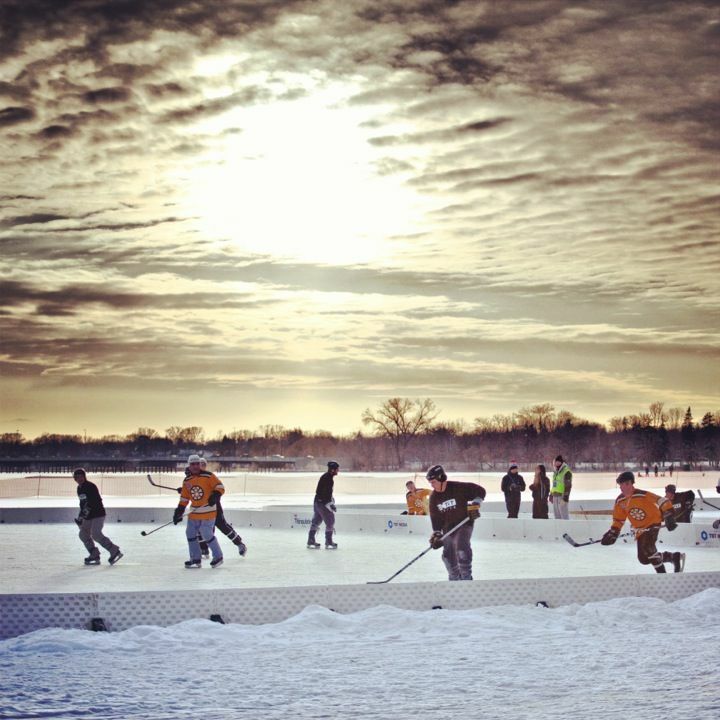 Because it gets so cold in Minnesota, their ponds are perfect for playing hockey. See the best of the best pond hockey-ers take to nature to take the title. 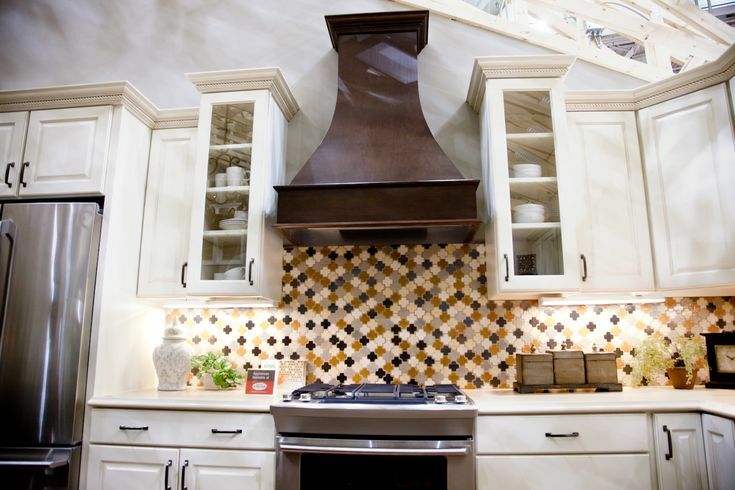 Get some ideas for you own home , while also enjoying gardening demos where you can smell the flowers and pick up seeds to start thinking about your garden at home. This weeklong show at the end of February is the perfect way to spend an afternoon and keep warm. Thousands of experts will be there to answer questions on everything from growing corn to installing solar panels. Do you like cross-country skiing? 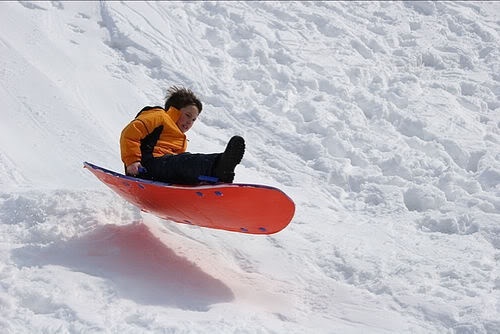 How about regular skiing, snowboarding, tubing or sledding? This is where to do it all. If there’s no snow, you can go biking, hiking or even tee off at their 18-hole golf course. Your whole family will love it. Outdoor snow activities not really your thing, but still want to take advantage of nature’s wonders? 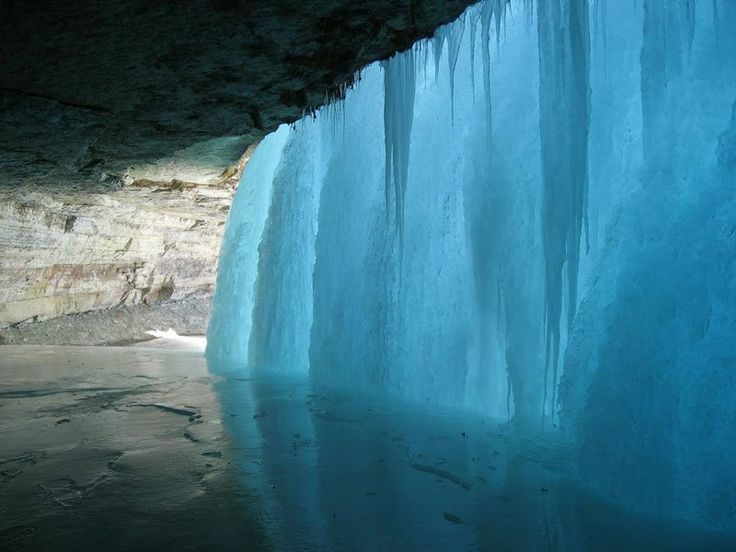 Stroll through the park and keep your camera at the ready for gorgeous winter photo ops like the sculptures that call Minnehaha Park home or the Minnehaha Falls waterfall that takes on a whole new look when frozen by winter chill. Go Sports! 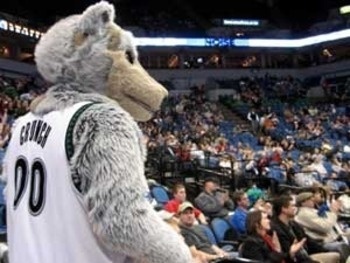 Cheer for your faves and have a hot dog and a beer during a basketball (Timberwolves) game, hockey (Wild) game, or even a football (Vikings) game if your visit overlaps their season. Make sure to buy your tickets well in advance, so you can get good seats and pack your team gear. Minneapolis has something for everyone in the wintertime, so even if you’re not sure you’ll find enough to do on a trip there, I’m confident you will, especially if you like the outdoors. If not, you can always head to Bloomington and spend your whole trip inside the Mall of America, but then you’ll never see how cool Minneapolis can be. Check out the Skyway if the weather outside seems way too daunting to play around in.